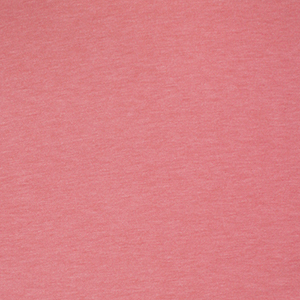 Top quality and exclusive designer overstock score! 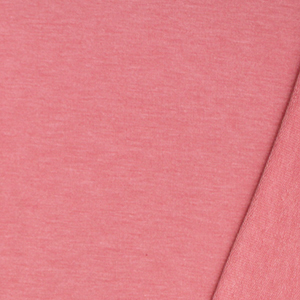 A drapey and soft cotton rayon spandex french terry blend in a dark hue rose pink solid color with a very light heather effect. 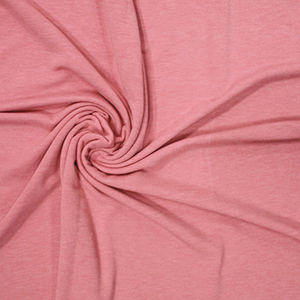 Medium weight with a smooth and soft top surface, low bottom loop pile, good drape, and slight 4 way stretch. 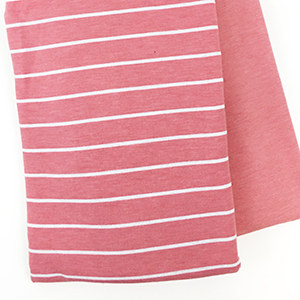 Be sure and get the matching Rose Pink Breton Stripe French Terry Spandex Blend Knit!